The UK River Prize celebrates the achievements of those individuals and organisations working to improve the natural functioning of our rivers and catchments, and benefitting society by having a healthy natural environment. After much deliberation the judges selected the overall winner as the River Avon for the excellent demonstration of a whole river approach to restoration and management. The project partners were awarded the Nigel Holmes Trophy, named after a hugely influential and passionate river restoration and conservation advocate. “We are delighted to accept the prestigious UK River Prize 2017 award on behalf of the Environment Agency, Natural England and project partners. This award is well earned recognition for the efforts of many people and organisations working together to help realise the vision for the very special River Avon – and a great springboard for the next phase of the programme, where we would like many more to be involved. “Arup is once again delighted to partner The UK River Prize in 2017. We champion best practice, innovation and pragmatic thinking, and we fully support the recognition that this prestigious award provides. In many places the River Avon has been straightened or moved to the edge of the floodplain to work mills or water meadows and there are now some 150 weirs and sluices on the river. It has also more recently been dredged for land drainage resulting in an over-wide and deepened channel and has been embanked in places. A range of restoration methods have been used to restore the rivers natural processes. These include the removal, modification and bypassing of structures; re-alignment of the river through the centre of the floodplain; re-meandering the channel within its existing plan-form and much more. The completion of Phase 1 is not the end point but a springboard for new phases of restoration using the knowledge, experience and goodwill built up over the past ten years. A further programme of work is needed on the remaining 185km of river to fully realise a more naturally functioning river catchment, able to respond and adapt to climate change. The UK River Prize is administered by the River Restoration Centre and judged by a panel of experts. The announcement and presentation took place in front of an audience of 300 at the Hilton Metropole, Brighton on the 4th April at the UK River Prize Awards Dinner. The award is run by the River Restoration Centre, partnered by Arup, the Scottish Environment Protection Agency and Natural Resources Wales. It is also supported by the Environment Agency and University of Dundee. 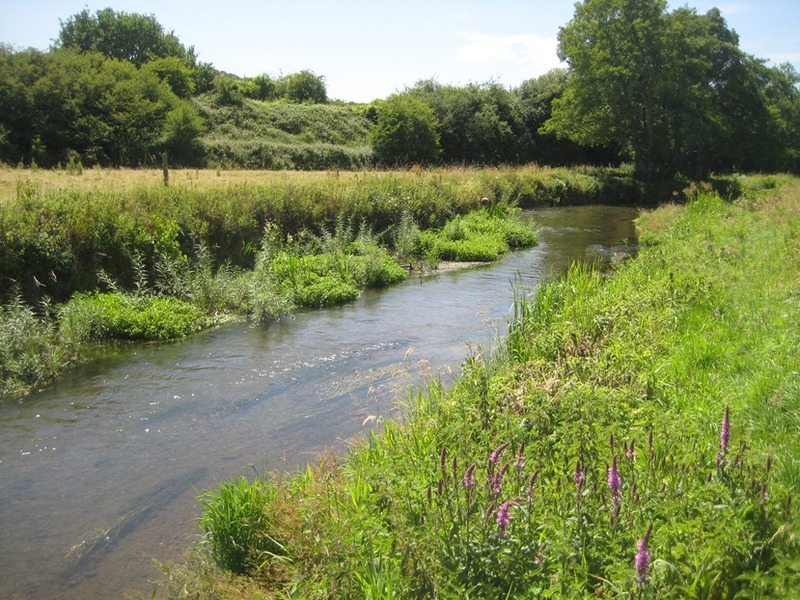 The River Restoration Centre is the UK's expert centre for information and advice on best practice restoration and management of rivers and their catchments. We are committed to ensuring our watercourses are restored and managed for the benefit of all, with long lasting results for future generations to enjoy. Healthy rivers and catchments provide enjoyment and well-being for people, rich and diverse wildlife and strong economic benefits for modern society.